Hungarian-American conductor and violinist ( November 18, 1899, Budapest, Hungary – March 12, 1985, Philadelphia, Pennsylvania, USA). Ormandy is best known for his longstanding post as the conductor of The Philadelphia Orchestra. He also developed what came to be known as the "Philadelphia Sound," emphasizing lush string sonorities and, often, legato phrasing and rounded tone. Ormandy, born Jenö Blau, began his musical career at an early age. He could identify symphonies at the age of 3 and could play the violin by the age of 4. When he was 5, he became a pupil at the Royal Academy of Music in Budapest (now the Franz Liszt Academy of Music). He studied with Jenő Hubay and began his conducting career with the Symphonisches Blüthner-Orchester Berlin (Blüthner Orchestra). He moved to the United States in 1921 (taking citizenship in 1927). Around this time he changed his name to "Eugene Ormandy," "Eugene" being the equivalent of the Hungarian "Jenő." Accounts differ on the origin of "Ormandy"; it may have either been his own middle name at birth, or his mother's. In the 1920s, Ormandy worked in New York as a conductor and in 1930 made his first appearance in Philadelphia with The Robin Hood Dell Orchestra Of Philadelphia. When Arturo Toscanini was too ill to conduct the Philadelphia Orchestra in 1931, Ormandy was asked to sit in. This led to Ormandy's first major appointment as a conductor in Minneapolis. From 1931 to 1936 Ormandy served as Music Director of Minneapolis Symphony Orchestra (now the Minnesota Orchestra). During his time in Minnesota, RCA Victor contracted the orchestra and recordings were made from 1934-1935. Several premiere recordings were made in Minneapolis, including Zoltán Kodály's <i> Háry János Suite </i> and Arnold Schoenberg’s <i> Verklärte Nacht </i>. In 1936, Eugene Ormandy began his 44-year long tenure with The Philadelphia Orchestra when he became associate conductor under Leopold Stokowski. In 1938, he was promoted to permanent conductor. Ormandy was a quick learner of scores, often conducting from memory and without a baton. He developed an amazing ensemble rapport and personally hired every one of the 104 musicians who played under his baton. As music director, Ormandy conducted from 100 to 180 concerts each year in Philadelphia. He led the Philadelphia Orchestra on several national and international tours, including a 1955 tour of Finland, where Ormandy and Orchestra members visited the elderly composer Jean Sibelius and in 1973, they became the first American symphony orchestra in the People's Republic of China. 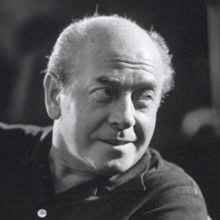 Ormandy and the orchestra recorded extensively for Columbia and RCA, especially during the stereo LP era. Ormandy retired as conductor in Philadelphia at the end of the 1979-1980 season (whereupon he was named Conductor Laureate). Ormandy was always a knowledgeable, well-prepared conductor, but he was most comfortable with Romantic and post-Romantic music; especially noteworthy were his performances and recordings of Richard Strauss and Sergei Vasilyevich Rachmaninoff. He led the first performances of many works by American composers and, in 1948 he led the Philadelphia Orchestra in the first symphony concert broadcast on American TV. Ormandy's awards include: <b> The Presidential Medal of Freedom</b>, presented by Richard M. Nixon in 1970; <b> The Ditson Conductor's Award </b> for championing American music in 1977; Appointment by Queen Elizabeth II as an honorary <b> Knight of the British Empire </b> in 1976; and he was awarded the <b> Kennedy Center Honors </b> in 1982.